Boosters Make the Magic Happen! Blake music couldn't function without the support of our awesome community of parents and friends! Interested in being a part of the magic? Fill out the form below to join Blake Music Boosters now! 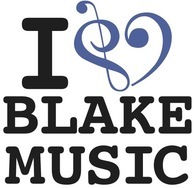 Our mission is to provide financial and organizational support for the instrumental and choral music programs at Blake. Our goal is to allow the music faculty to focus on teaching, guiding and performing with students. We focus on providing effective and timely communication among all interested parties including parents, students, teachers and staff; encouraging cooperation among all. Your Booster membership serves the Blake Music Department with time and talent to help activities run more smoothly, and to help financially subsidize the many needs of the department. The Music Department expects to spend over $10,000 on the Marching Band alone just to support their basic activities. Other basic expenses for both the Choral and Instrumental departments, including expenses just to hold concerts at the school cost thousands of dollars. We would like to make an even bigger difference by creating vocal and instrumental scholarships for graduating seniors, and procuring much-needed equipment for our Music Department. Our budget is funded through your generous giving and proceeds from the music department's big fundraiser, Swing Night. Donations of any amount are welcome; please give what you are able. New members are always welcome. Please join us! We also need volunteers to help with receptions; fundraising; uniform management; concession sales; meals before games; and many other opportunities. Your time, dedication, and financial support will help ensure the continued success of the Music Department at James Hubert Blake High School. Stay in touch with what's going on; join us for monthly booster meetings. Come to each or just a few. To register online, please fill out the form below. Or bring a check to Back to School Night or any Booster Club meeting in the fall.